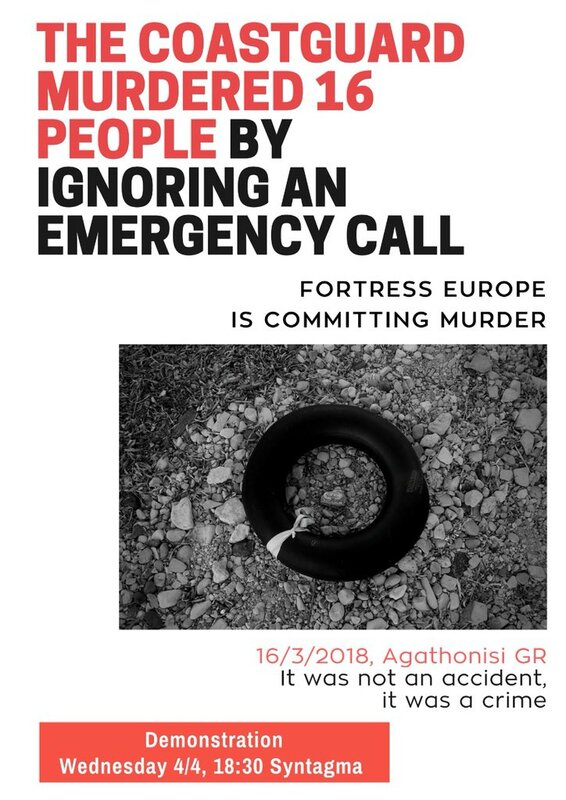 Agathonisi: 16 dead refugees it was not an accident it was a crime, protest on Wednesday 04/04 at 6:30pm, Syntagma Square, Athens, Greece. Originally published by Facebook event page. Translated by Riot Turtle. Demonstration at Syntagma square, Athens, Greece on Wednesday April 4, 2018, 18:30 (06:30pm). • if the EU-Greece-Turkey shameful agreement was not a mechanism that always produces death, pain and barbarism.